ActiveRain MeetUp and Open House 12-2 Today ..3704 Gardenview Rd Stevenson 21208. Will you be therE?. it's always so much fun tgreet together with Activerainers! You never know who you will meet or what you will learn. Sydney and I will be at Margaret's open house....how about you? ActiveRain MeetUp and Open House is Today ! We are combining a Summer ActiveRain MeetUp With an Open House. Contemporary Rancher with 5 bedrooms, 2 fireplaces, white oak flooring, curved architectural walls, loads of big windows and sliders to decks from all major rooms. This will be the location of another Maryland ActiveRain MeetUp. Baltimore Beltway 695 to Exit 21> Go north on Stevenson Rd about one mile > Turn left at Gardenview Road to 3704. You cannot see the house from the road. There is a private driveway. 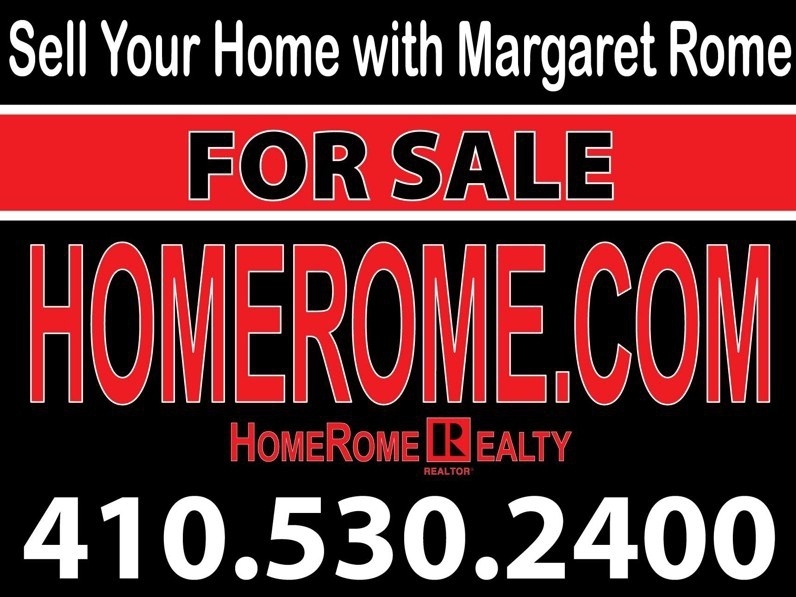 Look for this Open House sign. Homestead Tax Credit - Great News For Maryland Homeowner's! Maryland Meet-Up April 2013 What A Delight!